1 Syngonium Plant Height 5 Inches Approx. in 1 Printed White Round Shape Pot Height 4 Inches & Diameter 4 Inches Approx. The pot can be printed in any design. 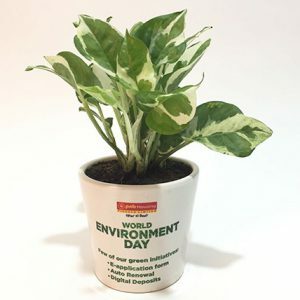 A unique green gift with company logo or message printed on it.